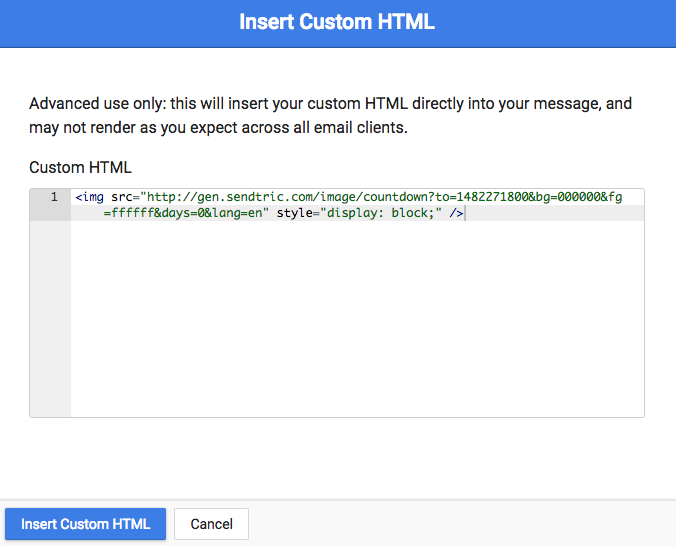 You can add custom HTML to any email message. 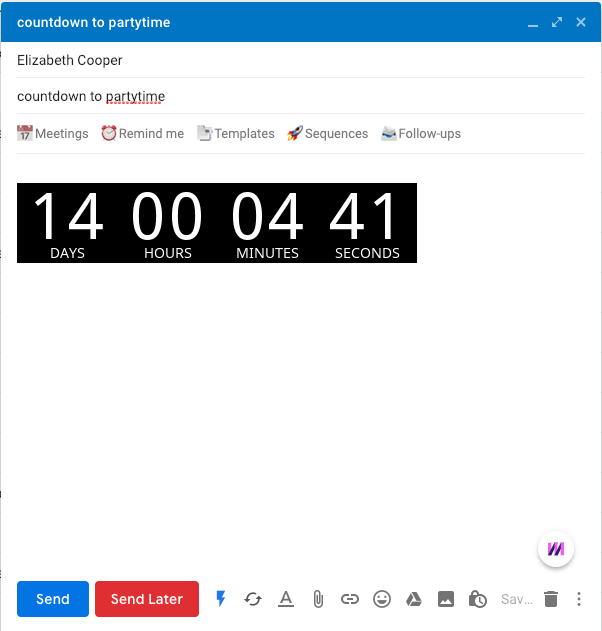 In this example, we'll insert a third party countdown timer. 1. 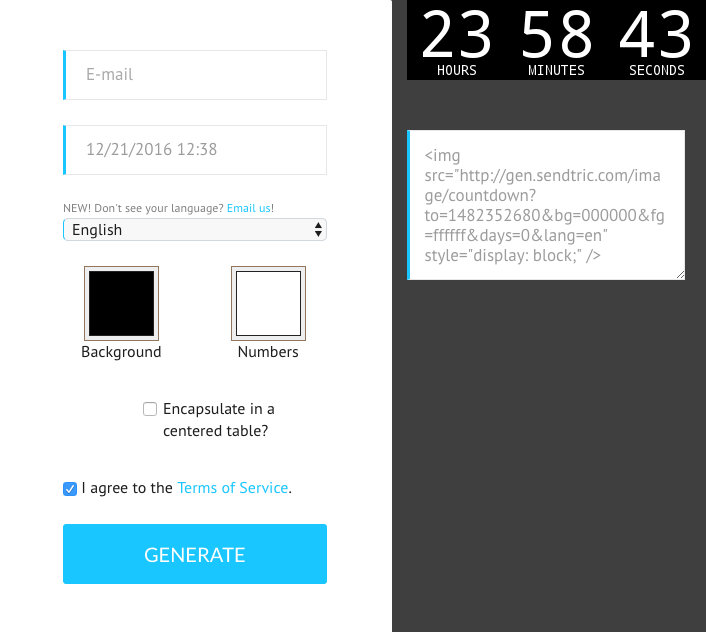 Go to the third party site Sendtric and create a custom countdown timer. Copy the provided HTML. 2. In your Mixmax compose window, click Enhance on the bottom bar, and then select Custom HTML. You can also use the slash command /html. 4. 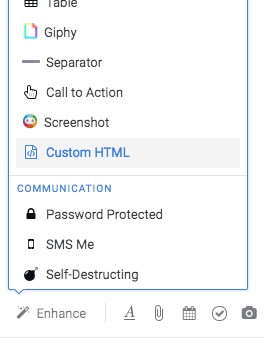 See the custom HTML rendered in your email, ready to send!